Driven by a student-centred curriculum, our MSc Criminology programme has a core narrative of critical thought and social justice, with established learning outcomes and assessment strategies. 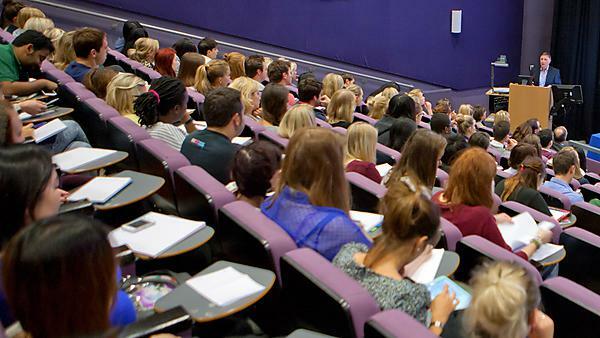 Held on campus at University of Plymouth, these initial meetings will provide you with a specific point of contact with our academic staff, and the University as a whole. outline our flexible approach to learning through diverse teaching methods, such as online discussion and podcasts. Over two symposiums held in December and March, you’ll get the opportunity to present work to your peers and academic staff, benefiting from a range of plenary presentations. Run at key points throughout the academic year, you’ll attend seminar style discussion groups and network with local, national and international industry experts. Through our MSc Criminology you’ll engage in independent criminological learning and thought, demonstrating the ability to work independently and autonomously, culminating in your dissertation. You’ll also deepen your understanding of the subject through podcasts, online discussions facilitated by tutors, exclusive seminars with visiting speakers and analytical fieldwork. You’ll gain insightful feedback on your progress through a diverse range of assessment methods, designed with flexibility in mind to reflect our inclusive ethos. From direct tutor feedback and critical reviews, to essays, reports and presentations, you’ll immerse yourself in criminological theory and practice. Study MSc Criminology at the University of Plymouth and you’ll be allocated a personal tutor, who’ll ensure you’re fully supported both academically and personally throughout your time here. Cultivate vital academic, interpersonal and employability skills, and explore personal and learning development university resources, through invaluable guidance and support from your tutor.